Wet mop handles metal stirrup wood 60 inches quick release bar (yoke) to facilitate fast mop changes. 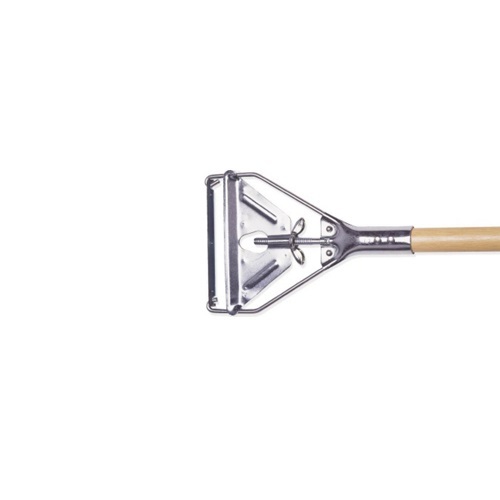 Heavy duty, wood handle provides durability with efficiency. Recommended for narrow bands.